Mapping requires precision and attention to detail. 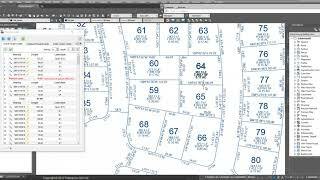 Label Autodesk® AutoCAD® Civil 3D® parcels, lines, arcs, etc. in seconds with the most appropriate label style. Spend more time map making and less time on the tedium of labeling, map checking and reporting.